Abbas's spokesman says PA is dissatisfied with White House statement acknowledging that peace talks are stalled. The Palestinian Authority (PA) on Sunday said it was “discouraged” by recent American statements concerning the future of the peace process with Israel, the Ma’an news agency reported. 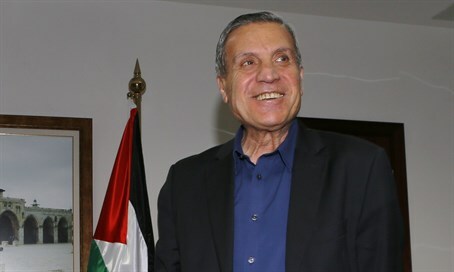 Nabil Abu Rudeineh, spokesperson for PA chairman Mahmoud Abbas, was quoted as having told the official Palestinian news agency Wafa that the situation had "reached a dangerous crossroads" that could have ramifications for the entire region, and it was important for all actors to take responsibility. He said recent United States statements did not serve toward that end, and were particularly discouraging in light of what he termed Israel's "ongoing policy of arrests and shootings without a valid reason." The comments were a response to remarks attributed to White House officials last week. The officials, quoted in Haaretz, admitted that President Barack Obama had concluded that in his time left in office the Israelis and the Palestinians will not be able to reach a peace treaty and would, therefore, encourage Prime Minister Binyamin Netanyahu to take steps to prevent a “one-state solution” during their meeting at the White House on Monday. The comments on the “two-state” solution come amid a continued push by Western countries for Israel and the PA to resume peace talks. Obama recently touted the “two-state” solution in a video address at the memorial marking 20 years since the assassination of Prime Minister Yitzhak Rabin, saying, “Peace is possible, if both parties are willing to truly compromise and take risks for the only real solution - two states for two people; a democratic Jewish state living side-by-side in peace and security with a viable, independent and sovereign Palestinian state”. It is not just the United States, however, that has been pushing the sides to resume talks. New Zealand recently presented a draft UN resolution aimed at reviving the stalled peace talks and calling on Israelis and the Palestinians to end the violence, prepare for peace talks and declares the two-state solution to be the "only credible pathway to peace". New Zealand's initiative came after France circulated a draft for a council statement that failed to win agreement, highlighting difficulties to forge a consensus in the council. So far, the PA has refused to renew peace talks and has even imposed conditions on a potential meeting between Netanyahu and Abbas. Netanyahu has expressed a willingness to meet with Abbas without conditions.